Hi friends! I have a really quick post to share with you today! I received my Paper Pumpkin kit for this month so I thought I would share one of the cards I made. The kit this month is called Hello to You! It's a really fun kit. I love receiving this kit each month because I never know what I will receive for the project that month. 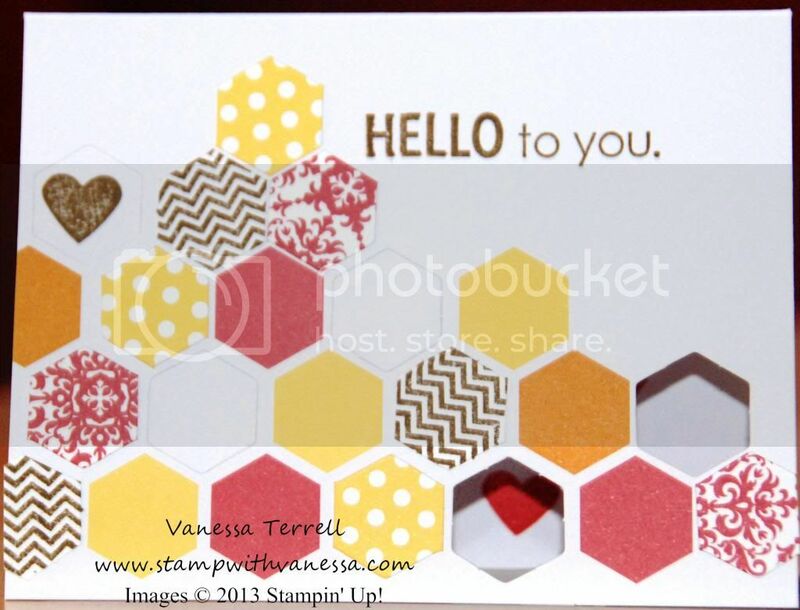 This month it was projects for 4 cards using a hexagon pattern which is so trendy right now! Also, I like that I add more stamps to my stash! Although you can't purchase the kit I'm showing you today you can still sign up for the monthly subscription at www.mypaperpumpkin.com. 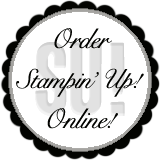 If you decide to sign up be sure to list me as your demonstrator (Vanessa Terrell). So here's my finished card!